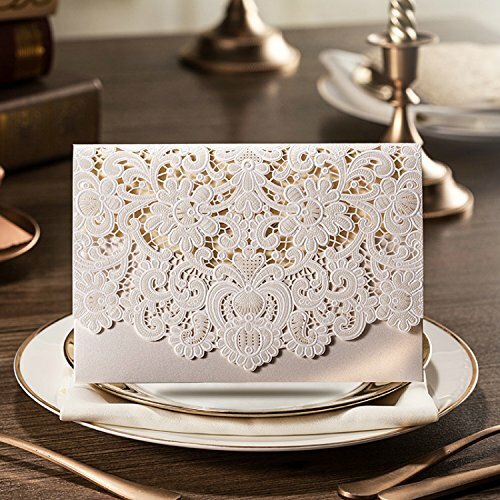 5 x 7.3 inch Ivory laser cut wedding invitation with free ivory envelopes.You can print the invitation with your own design by home printer if you are good at DIY. We also supply printing service for who can not print the invitation by themselves. Please email the details to irgcn@foxmail.com - please remember to include the invitation link or picture in your email. Our designer will make the preview draft matches the invitation for you to approve. Do not place order directly, this link is for the BLANK invitation. We will send you right link after you confirmed the printing draft.